Find space treasure with physics! As a member of the starship Copernicus, you’ll use force, motion, and mass to recover lost riches. In SpaceForce, players undertake a journey across the solar system aboard the starship Copernicus. Their goal is to use science to recover lost treasures of the Queen’s Galactic Council using principles of physics. Game play provides practical experiences to aid in understanding of motion in two dimensions. Early levels are quite simple, with players testing how pushes and pulls work to move a mass. As the game progresses, they will have additional opportunities to solve increasingly complex treasure-hunting tasks. Correctly solving these challenges requires a grasp of motion concepts including inertia and momentum, which are explored as the game goes on. Beating each round also requires some trial-and-error as players test how various options affect the modeled systems. 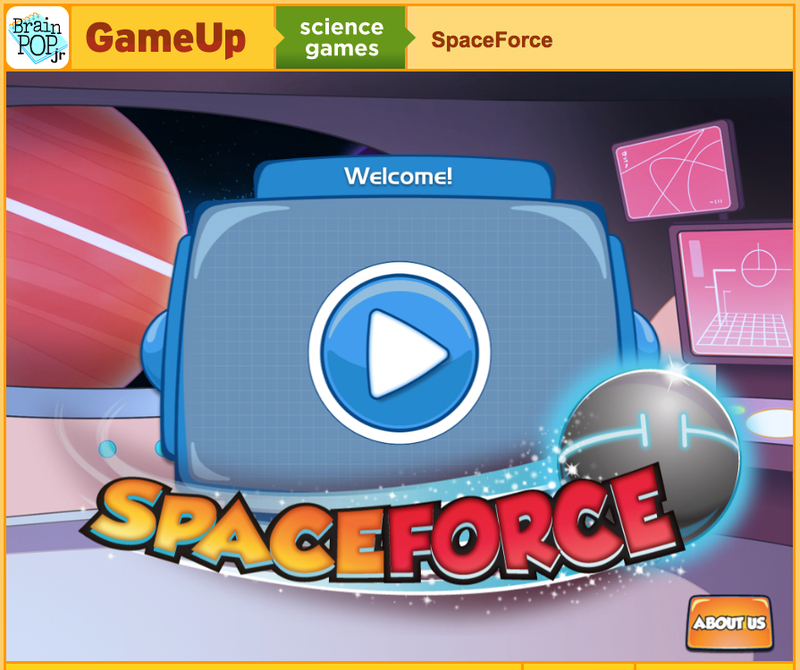 After spending time with SpaceForce, students of various ages will come away with a strong sense of how mass and force can affect motion in a vacuum (where friction and gravity can be ignored).